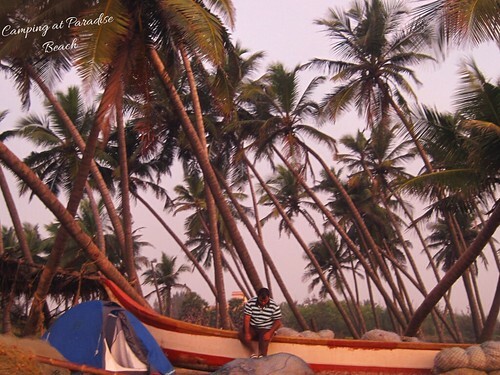 Best of – Pondicherry for Christmas! 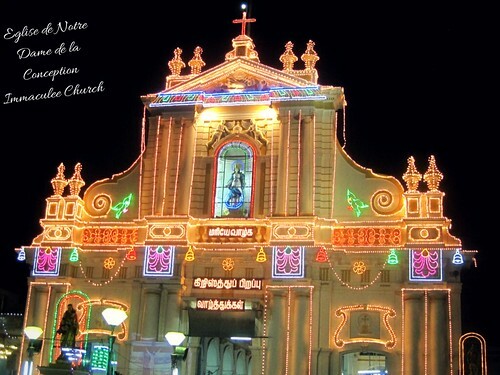 We visited many a churches that night and the following day where the masses in different languages – Tamil, French and English were in procession in different churches – all well lit, beautifully decorated and of course, crowded. I was absolutely blown by the beauty of Matrimandir, the inner concentration chamber at Auroville which promotes it’s world vision of unending education and spiritual research for all. Please note that visitor passes to Matrimandir are to be availed at least one day in advance and in person only. Chambers for meditation can be booked only thereafter. More info on their site here. 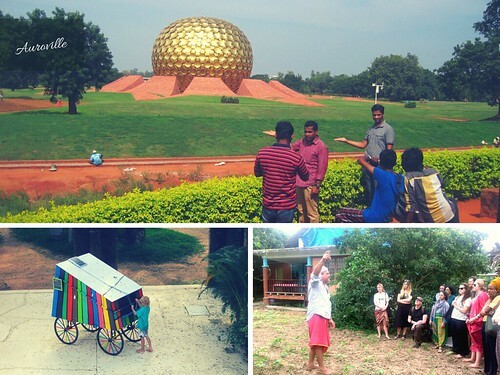 We stayed in one of it’s dorms for 2 nights, interacted with folks from around the world, and learned from their experiences, some of who had stayed for over 3 months at Auroville while volunteering. We also crashed into a walk (and gave a sheepish laugh on getting caught later) at Solitude Farm inside Auroville, a sustainability project, and it was very interesting learning about different crops and the need to know where our food comes from and avoid the chemically treated stuff we keep ingesting! 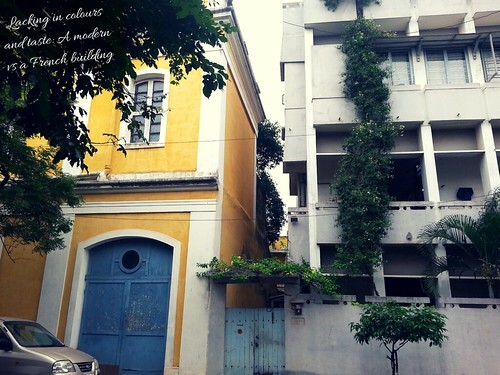 We went on a heritage walk tour around the by-lanes of Pondicherry learning about different buildings with architectural styles from the French. The Govt is hard at work in restoring the buildings to retain the gothic feeling which, however, is slowly giving in to commercialization, as evident in the number of hotels that have come up over time. To book the tour, we contacted the Tourist office at Promenade beach which gave us the number of the guy who organizes the tour. Sheltered by the palm trees which prevented the otherwise flying away tent, we pitched it on Paradise beach which I had carried all the way from Hyderabad. We woke up to a beautiful sunrise from the sea just around the time the fishermen set on their duties. We relished some of the cakes and pastries from the bakeries Pondicherry is famous for. I personally also loved the Badam Milk at KBS Kofi Barr at the Promenade Beach. 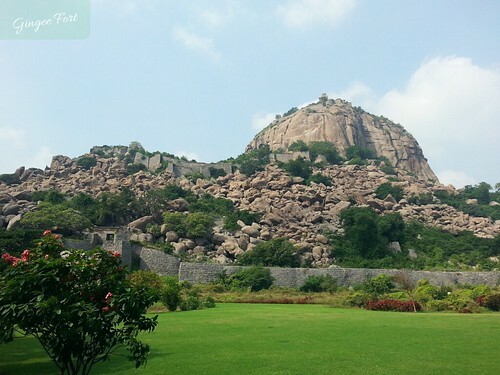 I had learned from a fellow travel blogger about this and the trip to Gingee was absolutely worthwhile. The 70 kms one way bike ride on the super smooth highway offered the beautifully green landscapes of Tamil Nadu, and the hike to it’s ruins was just as gorgeous. Built around the 9th century, the fort has proved its prowess to the scale that it earned the title ‘Troy of the East’ from the British. The seclusion of pillars at Venkatramana Temple in Gingee Fort gave us an explorer-like feeling, I would definitely recommend the temple visit. 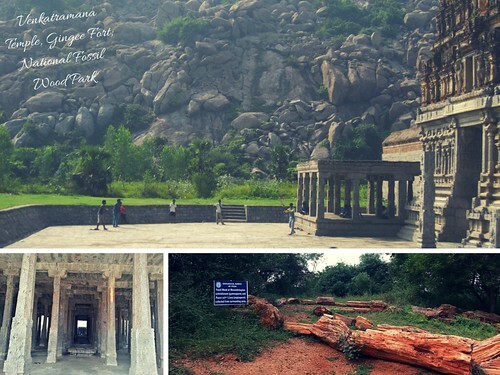 If you’re planning a trip to Gingee, note that the to and fro bike ride and the hike consumes almost an entire day. We had also paid a visit to the National Fossil Wood Park (showcasing preserved fossils aged over 20 million years) in the Villupuram district on the way back, locating which was no less a deal. We had to show the image of the park from the Internet to have the locals guide us to the location! The roadtrip on the East Coast highway from Chennai to Pondicherry was very beautiful flanked by water bodies both sides – sea on one, and the backwaters on another! On our return, we also visited the ancient historic town of Mahabalipuram, an earlier sea port, now known for the rock cut monolithic temples. We also visited the Madras Crocodile Bank, the crocodile breeding centre just before entering Chennai and saw a gazillion crocs lazying around. Both of these points are on the highway itself, if you are planning a roadtrip. And that’s how it was! For me, adventure started at home itself as I had arrived at Chennai too in style. Standing on the highway at Hyderabad, I was just making a placard to hitch-hike all the way when a bus conductor declared to be the last one on that route, but it was full. I gave company to the driver all night, arrived at Tirupati, walked a while, and hitch hiked again, with a biker this time and arrived in Chennai (with my tent) at 100 killometers an hour! One can of course book buses, trains, flights too. If you like this tale, do consider leaving your feedback in comments. Here are my social handles you can follow me on to not miss a tale. ¶¶ Why I started carrying 2 water bottles? Have any comments/suggestions/gyaan to give, please do. 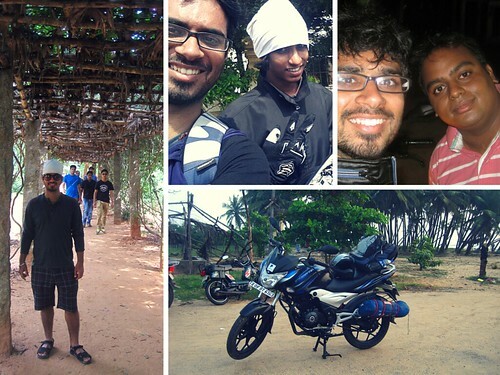 Lovely account of your trip to Pondicherry. The church looks so beautiful and temple at Gingee fort seems to be very ancient. I wish to go to Auroville sometime. Thank you so much Somali. Hope you make it there soon, it is another world at Auroville! Hi Jatin, nice post. Great to hear from you after a long time. Hitch-hiking stuff is great. I have fond memories of Chennai, Madurai, Mahabalipuram and Tambaram beaches, which I traveled way back in 2005. I still remember visiting the ‘Snake Park’ of Mahabalipuram, famous for its pythons. Thanks a lot for the wonderful comment Rajat! 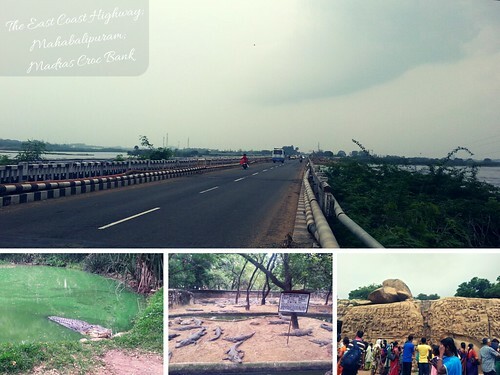 Is the Snake Park of Mahablipuram same as the one in Madras Croc Bank, I saw many a snakes there too? Nice blog Jatin.. I visited Pondicherry a few years ago over the NYE period but the city and I just never hit it off. It seems like you had a great trip though … Camping on the beach must have been lovely ! Heyiiiooo, Very nice post along with some beautiful captures :)..
Oh yea! Thanks for the suggestion. Hi Jatin, following your blog since a couple of days… I have nominated you for the Liebster award. Check the link here.